Nation-states should act individually, so Ukraine’s to do what’s best in Ukraine’s interest and likewise we in Western Europe and in the United Kingdom. 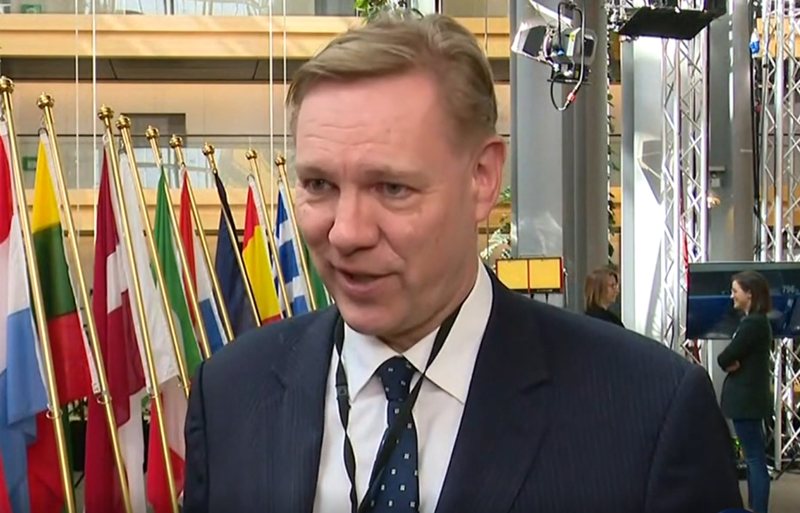 Jonathan Bullock, a Member of the European Parliament for the East Midlands constituency said that in his comments to 112 Ukraine TV channel. “I do think that it’s much better for nation-states to act individually, so Ukraine’s to do what’s best in Ukraine’s interest and likewise we in Western Europe and in the United Kingdom, for example, to do what we would like. For example, I’d like to see more emphasis on nuclear power rather than renewables, because nuclear power can be consistent and not intermittent. But it is important that the nation states can act in a sovereign way. The problem with the EU, having been involved in these things, is that it acts in a supranational way which is not necessarily in the best interests of the nation states,” said Jonathan Bullock, a Member of the European Parliament for the East Midlands constituency. “I think it’s important that the nation states can always act independently. I think that the problem with the EU being involved is that they cannot represent everybody. This is a big problem that we are having in the UK and one of the reasons we are leaving,” Jonathan Bullock added. As we reported earlier, the delegation of political party Opposition Platform – For Life held negotiations with the Prime Minister of the Russian Federation Dmitry Medvedev and the head of Gazprom Alexey Miller last Friday. The delegation was headed by the political council chairman of Opposition Platform – For Life Viktor Medvedchuk and supported by the presidential candidate Yuriy Boyko. The economic negotiations were initiated by the Ukrainian side. Earlier, Viktor Medvedchuk noted that Ukraine buys Russian gas according to the Dusseldorf+ formula and due to this, gas price is too high for the consumer. He also believes that the only way Ukraine can preserve its gas transmission system is by the creation of a gas transmission consortium. In 2014, Russia decided to make Kyiv pay for gas supplies in advance. After that, Ukraine reduced the purchase of Russian gas and began to buy reverse gas in Europe. In November 2015, Naftogaz stopped buying gas from Gazprom.